Misha Huntting Dumois has been practicing tarot since age 10 after being taught by her mother and aunt both tarot enthusiasts since the 1960’s who went on to do it professionally. The great grand daughter of a spiritualist leader and automatic writer as well, you could say it’s in her blood! Starting to read as a teenager for others Misha returned to tarot as an adult to create an art and tarot project called the “American Obscura”. A project 3 years in the making this tarot deck combined traditional tarot with American history and modern day archetypes. Misha’s most recent project is an oracle deck based on spirit animals native to North America. 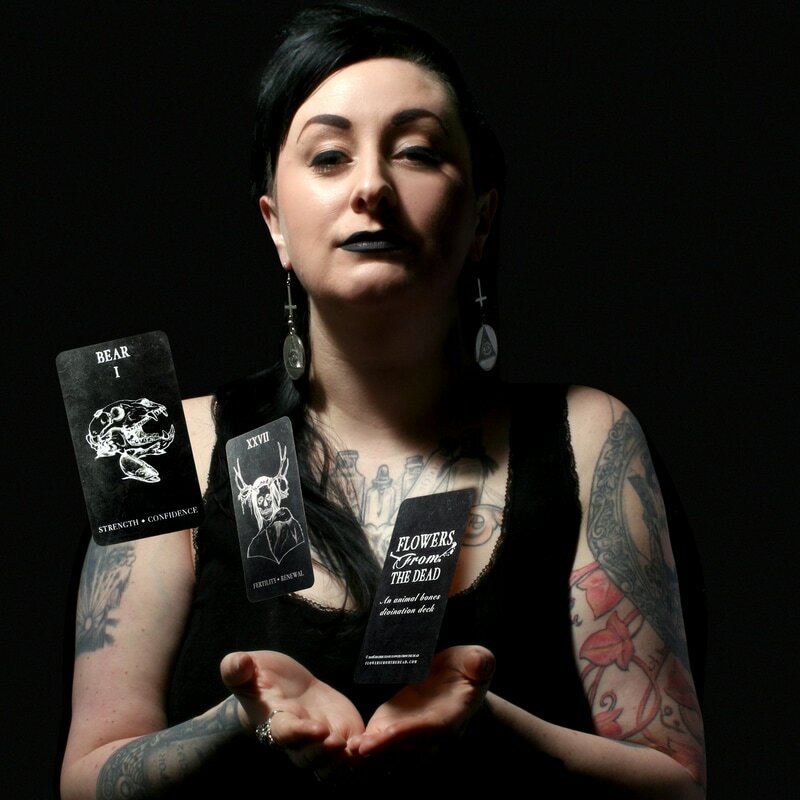 Misha has had experience reading tarot out of her own space at The Spooked in Seattle headquarters in Pioneer Square as well privately and publicly throughout the city. A tarot history enthusiast and experienced reader, Misha is looking forward to teaching her own classes in the near future and sharing what she’s learned.